I hope you all had a fantastic weekend and are ready to kill this weeks goals, whatever they may be for you. If you need a little inspo to help you get driven, this post is definitely for you! I am going to be sharing my FAVE coffee shop in Houston A2ndCup and their amazing mission. A2ndCup is a coffee shop that is making major moves against human trafficking in Houston. They are completely non-profit, using the sales from the shop to help end human trafficking. They are also channeling their profits into aftercare solutions for human trafficking survivors such as education, counselling, work experience, etc. As their profits grow they are also hoping to start donating to other partner organizations that are fighting to end human trafficking as well. I was so ecstatic when they asked me to come in to do a write up for them. 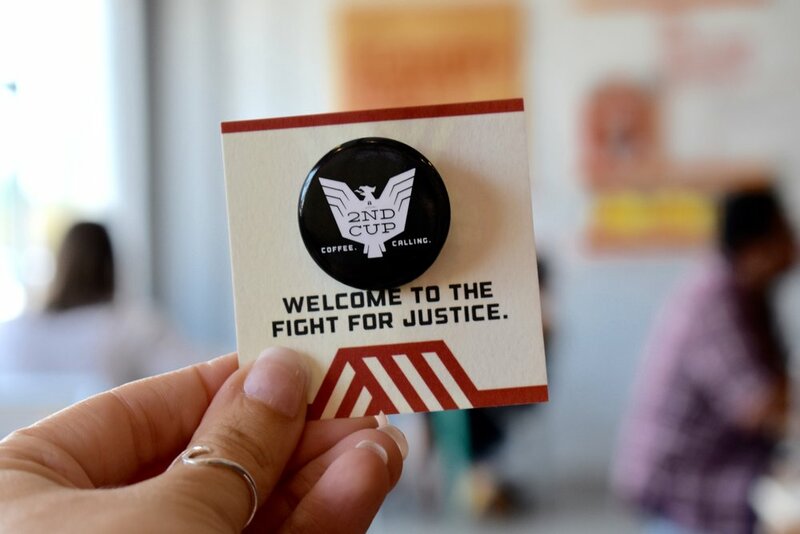 I am always looking for ways to use my platform to enact change and make a impact in the world, if I can help spread the word on the amazing things A2ndCup is doing and help educate people on human trafficking how could I pass that up? While I was there I had a chance to try out some of their coffees and seriously guys they were all phenomenal! I tried the Sweet Toff Iced, Latte, Cortado, and the Horchata Sidekick. My favourites out of them all were definitely the Latte and Sweet Toff but they were all amazing!